In 2016 Hillary Clinton became the first woman to win a major political party’s nomination for U.S. president. While she campaigns this year to earn the votes of as many men and women as possible, the first woman to run for America’s highest office did so at a time when only men had the right to vote. 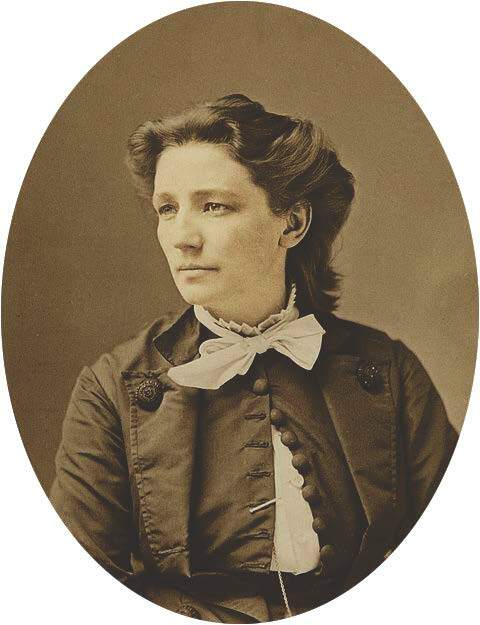 Although Victoria Woodhull knew her 1872 bid for the U.S. presidency would be considered outlandish, she understood that a female bid for the presidency would be seriously considered in the future. In the presidential election of 1872 Woodhull faced Republican Party nominee Ulysses S. Grant, Liberal Republican Party nominee Horace Greeley, and several others. Coverage of the Woodhull campaign, as found in Early American Newspapers, gives a unique perspective of the public response to her audacious role in American politics. ….the notorious Victoria Woodhull lectured in Steinway Hall to a motley crowd of ladies and gentlemen, politicians, bankers, horse-jockies, gamblers, sporting-men, pimps, prostitutes, gutter-snipes, speculators, Tammanyites, carpet-baggers, freedom-shriekers, free-lovers, and, in fact, everything from upper crust to the very dregs—rag-tag and bob-tail of the community. Such a gathering has never been seen since the bugs, beasts, reptiles and other vermin went into Noah’s Ark. After a while Mrs. Woodhull proceeded with her lecture, in which she claimed a right to her opinions, and the right to change husbands every day if she wanted to, and, in behalf of progressive womanhood, demanded that the law should protect her in such frequency of which she called womanly sentiment. She boldly proclaimed herself a free-lover, and declared it to be an inalienable right of women as well as men to life, liberty, and the pursuit of happiness. Woodhull attempted to use newly formed connections with Susan Anthony and Elizabeth Cady Stanton, leaders of the women’s suffrage movement, to advance her campaign. The upcoming National Woman Suffrage Association convention was to take place at Steinway Hall in New York in May 1872. In her newspaper, Woodhull and Claflin’s Weekly, Woodhull announced that a new party, the People’s Party, would be formed to nominate candidates to run for president and vice-president of the United States. Woodhull made this announcement without discussion with Anthony or Stanton. Anthony, wanting nothing to do with Woodhull’s audacious move, attempted to silence her at the convention. Undaunted, Woodhull remained. The next day she and her followers left the Steinway and reconvened across the street at Apollo Hall. Here, the Equal Rights Party was formed and Victoria Woodhull addressed the convention. In its May 11, 1872, issue, The New York Herald covered the convention drama as it unfolded as well as Woodhull’s speech, “Political, Social, Industrial, and Education Equity.” Her address was favorably received, and after great applause Victoria Woodhull was nominated to be the president of the United States. At last the great row between the two woman’s rights factions, so long threatened and so often promised, has begun, and no one living may prophesy where it will end. For some time past a quarrel has been brewing between the moderate and conservative wings of the female shriekers, led by Elizabeth Cady Stanton, Susan B. Anthony, the impregnable; Lucretia Mott, the venerated, and Lucy Stone, the stainless, on one hand, and the rebels, led by Victoria Woodhull and Tennie C. Claflin, on the other side. she denounced politicians, parties and the Constitution, and declared that on our country’s centennial a new Constitution would take the place of the present blood-stained document. As the year progressed, Woodhull’s life outside of politics unraveled and her newspaper lost its funding. There was gossip about Woodhull living with both her husband and ex-husband. Because her perspectives were considered outrageous by many, she came under intense scrutiny and criticism from many people, including Harriet Beecher Stowe. Woodhull ignored the attacks at first, but eventually decided to fire back. Woodhull and her sister published a report on a sexual relationship between Henry Ward Beecher, Stowe’s brother, a highly respected cleric, and a married woman in his parish. For this Woodhull and her sister were charged with sending pornographic and obscene materials through the mail. The Marshalls intrusted with the warrant immediately proceeded to the office of the parties, on Broad street, which they searched thoroughly, but failed to find their game. Subsequently, however, they discovered the women in a carriage on Broad street, as if preparing for flight, and in the carriage were 25,000 copies of the obnoxious publication. In the end, Victoria Woodhull spent election day 1872 in jail with her sister. The speakers of the evening session included John Wetherbee, E.M. Chamberlain, Dr. H.B. Storer, Dr. C.K. Wheeler, and Victoria Woodhull. The last-named occupied the attention of the audience for about a quarter of an hour, and after declaring that she was responsible for her own statements, she launched forth into a tirade of abuse of society as constituted today, stigmatizing the men and women as only half-made, and defending her recent attack on Mr. Beecher as a piece of just and grand generalship, calculated to make that gentleman with others come forward and acknowledge the truth. The ministers of religion, in her judgement, 40,000 hypocrites, who were responsible for the sham morality which existed at present. If she had charge of the rising generation, within twenty-five years all insane asylums would be turned into scientific institutions, churches would be opened every day, and jails would become a refuge for the destitute instead of the abode of criminals. She asked that a social convention should be called, at which the whole social system should be talked over and the rotten planks be taken from the bottom of the present structure, and declared that whether she were dragged to prison in Boston or New York she would never cease to talk on the question and denounce the abominable hypocrisy and perjury that existed.